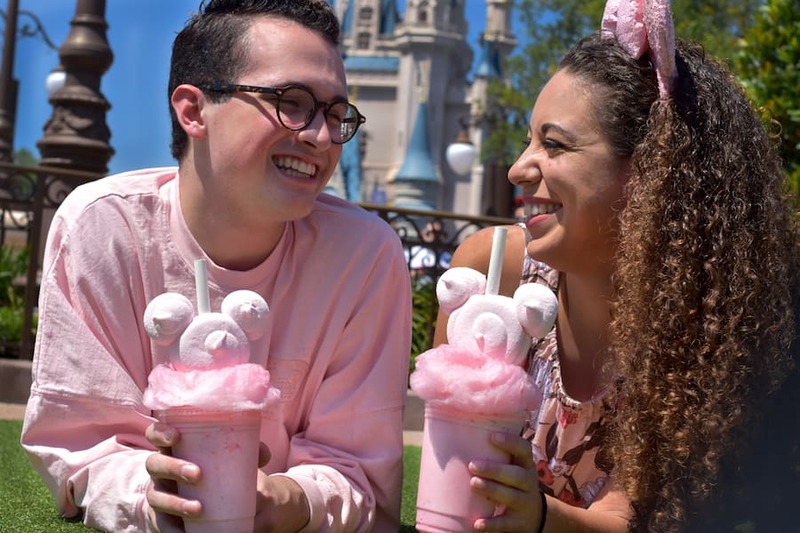 At Magic Kingdom Park, you’ll find a Millennial Pink Milkshake at Auntie Gravity’s Galactic Goodies. This strawberry milkshake comes topped with fluffy cotton candy and house-made Mickey-shaped marshmallows. Right next door to Magic Kingdom Park, say “aloha” to this Millennial Pink Cupcake at Disney’s Polynesian Village Resort. Found at Capt. 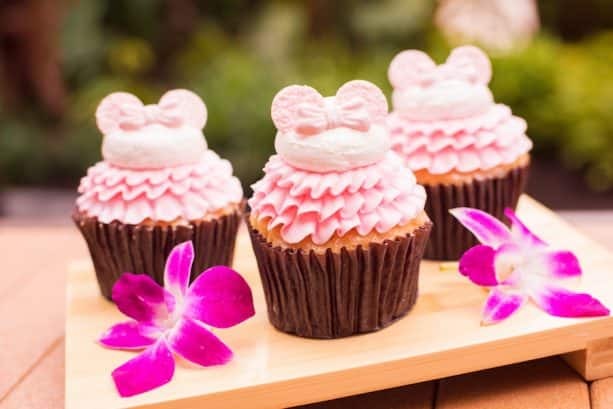 Cook’s, this vanilla cupcake is filled with guava cream and topped with buttercream icing and fondant Minnie ears. 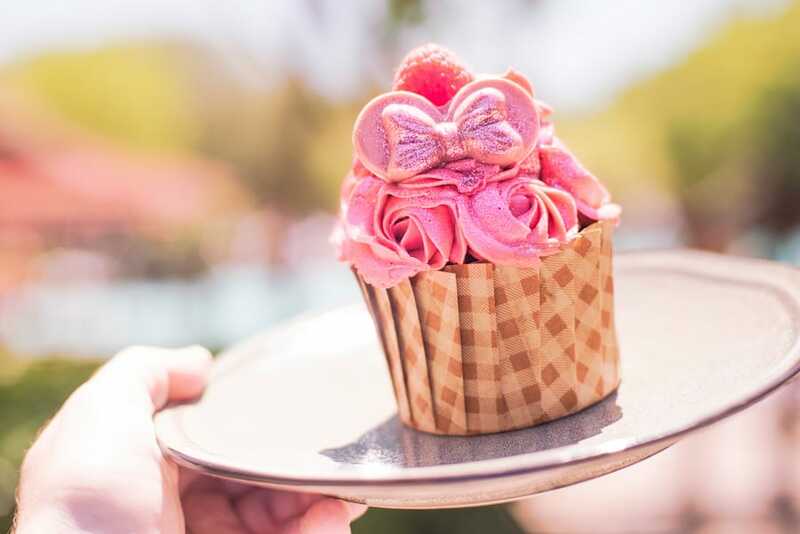 Epcot is serving up a Millennial Pink Cupcake at Fountain View. This fabulous vanilla cupcake is filled with strawberry pastry cream and topped with vanilla buttercream and fondant Minnie ears. It also goes perfectly with all of the beautiful flowers currently decorating the park for the International Flower & Garden Festival! On the other side of International Gateway, Disney’s Yacht & Beach Club Resorts are offering a Millennial Pink Raspberry Cream Puff. Found at The Market at Ale & Compass and Beach Club Marketplace, this delicious cream puff is filled with raspberry Bavarian cream and glazed with sugar icing and will be available starting April 12. 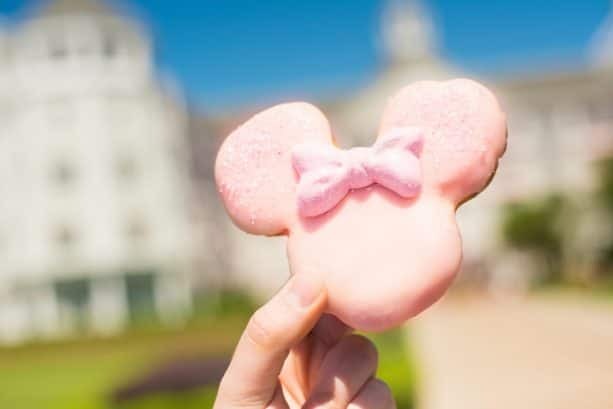 Just across the lake at Disney’s BoardWalk, you’ll find this super cute Millennial Pink Pop at the BoardWalk Bakery starting April 19. 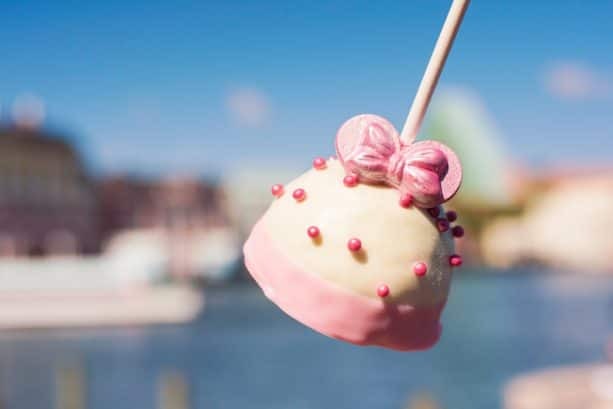 This crispy treat dome is dipped in white chocolate and topped with pink crispy pearls and millennial Minnie ears. 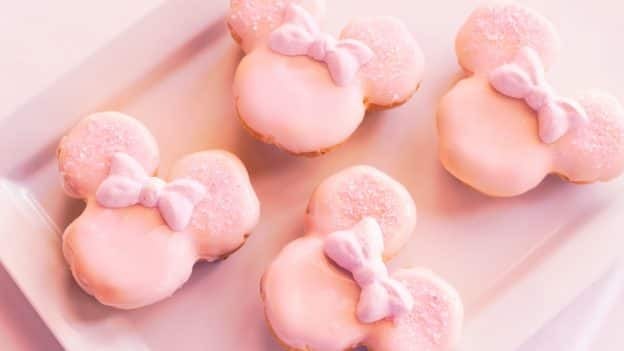 At Disney Springs, Amorette’s Patisserie is pouring a sweet sip beginning next week – the Millennial Pink Celebration Toast! 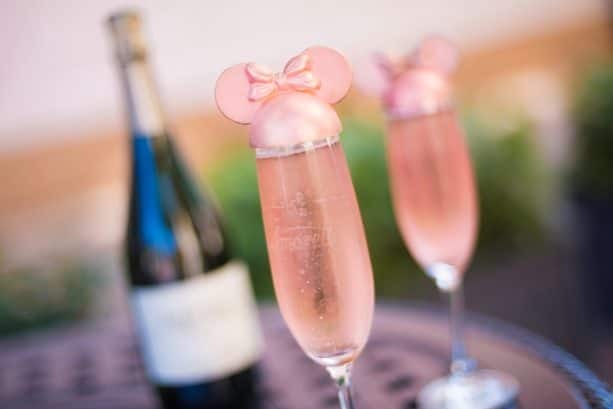 Enjoy a tall glass of Fairy Tale Celebration Cuvee topped with adorable millennial pink chocolate ears. The Ganachery at Disney Springs has a couple perfectly pink offerings, too! 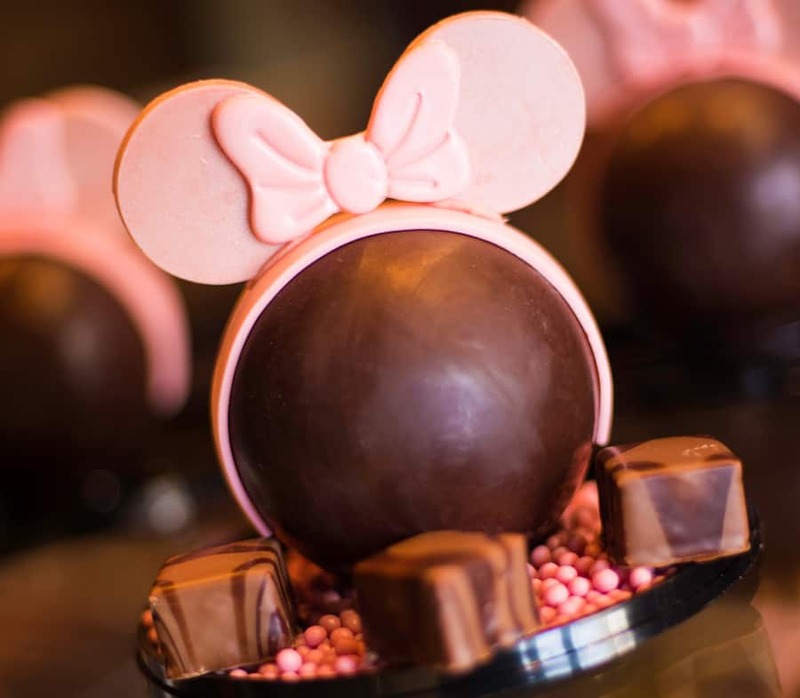 Here you’ll find a Millennial Pink Piñata, a dark chocolate dome filled with vanilla bean marshmallows and strawberry crispy pearls and topped with edible white chocolate ears. 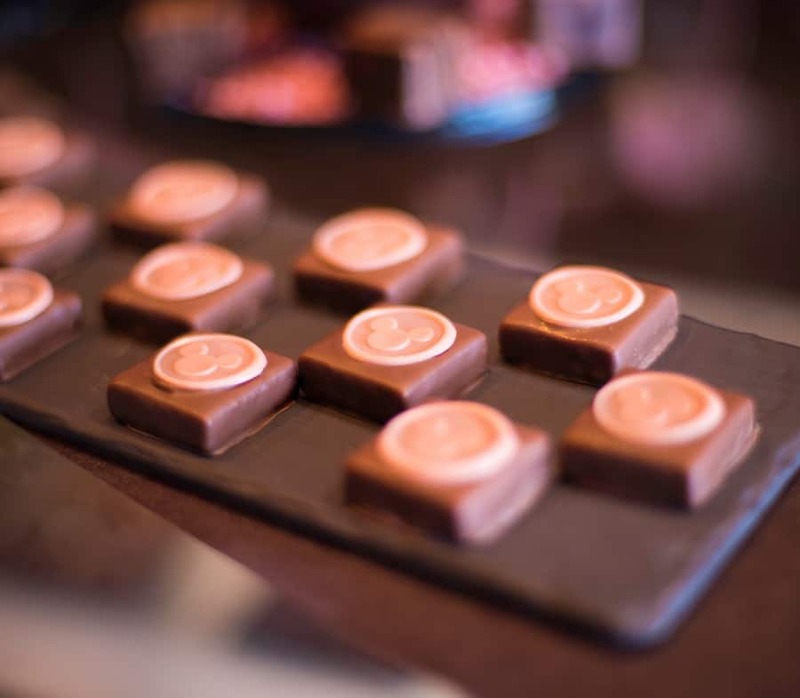 There’s also the Millennial Pink-Berry Ganache Square, with strawberry-lemon ganache covered in milk chocolate. Then there’s the Millennial Pink Chocolate Cupcake with raspberry marshmallow filling and topped with raspberry buttercream. 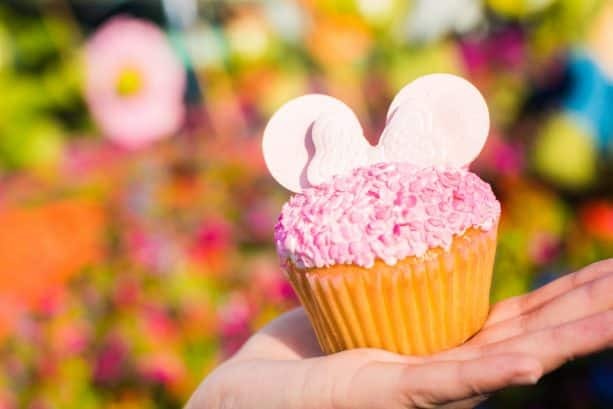 This cupcake can be found at a variety of locations, including Riverside Mill Food Court at Disney’s Port Orleans Resort – Riverside, the food courts at Disney’s All-Star Resorts, Landscape of Flavors at Disney’s Art of Animation Resort, The Artist’s Palette at Disney’s Saratoga Springs Resort & Spa, and Everything POP Shopping & Dining at Disney’s Pop Century Resort. 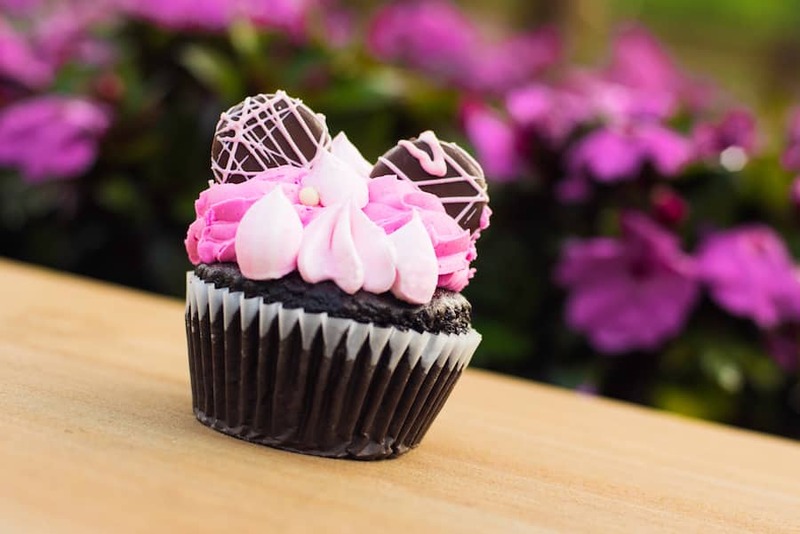 Finally, we have the Millennial Pink Raspberry Chocolate Cupcake at The Mara at Disney’s Animal Kingdom Lodge. This chocolate devil’s food cupcake is filled with raspberry mousse and topped with millennial pink buttercream, fondant ears, and edible glitter. 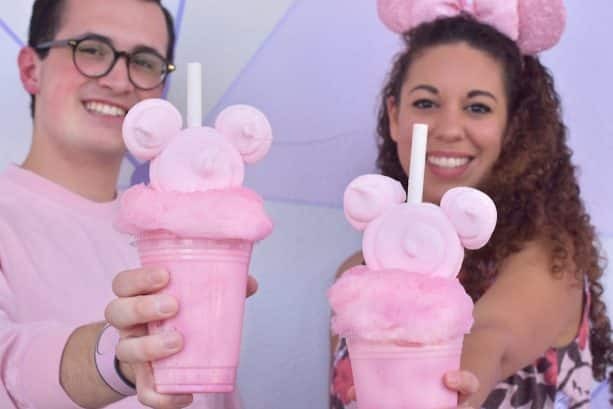 Not only are all of these snacks perfectly pink and delicious, but they make for the CUTEST photo ops with friends and with your millennial pink Disney merchandise, which may be found in merchandise locations across Walt Disney World Resort. So put on those Spirit Jerseys, headbands, and retail MagicBands and come on out to try one of these limited-time millennial pink treats! So incredibly disappointed that the milkshake is not available. We are here, it’s May, and I had a whole photo op planned after reading this blog. I even bought those pink ears. Really wish you’d bring the shake back or at least update this post. Do they still have the millennial pink Minnie ears headbands? Or are they sold out? I am clueless too! What are they for and how long are they going to be there? 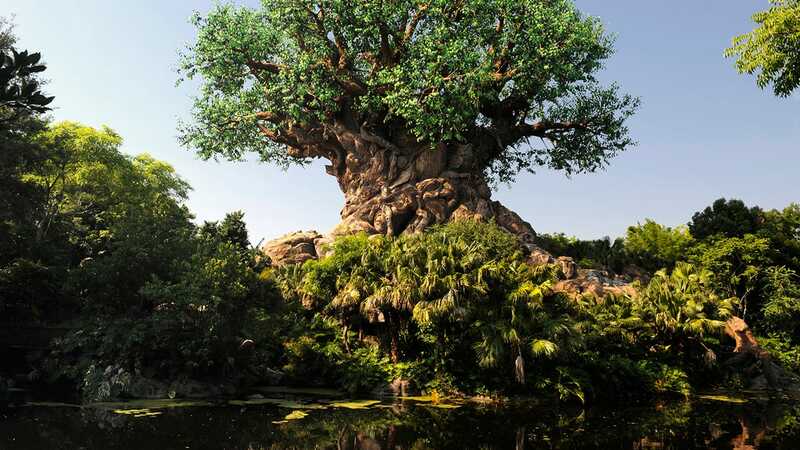 My family will be there in July! I was also wondering how long these might be available? I’m traveling late September this year. How long are these going to be available?? We aren’t going until November! Oh my goodness!!! Annual passholder for disneyland and I’m SERIOUSLY jealous!!! Feels like WDW gets all the good stuff!!! Hope we will get some of these! Cant get the millenial pink ears cuz it sold out the next day and we couldnt make it.